Every second year brings the opportunity for Friends to come together and engage in some great activities during the biennial National Rural Health Conference. In Hobart, from 24-27 March 2019 over 1,100 people interested in improving the health and wellbeing of people in rural and remote Australia, gathered to exchange news and views on life in their local communities. One of the highlights of the 15th Conference was the Friends Photo and Poetry Competition. Over 90 entries were received and the top 20 photos and poems were exhibited at the Conference for delegates to vote on the winning entries. The winners of the Friends Rural Health Awards were announced at the 15th National Rural Health Conference. Unsung Hero: Bernie Shakeshaft, Foundation Chief Executive Officer, BackTrack. 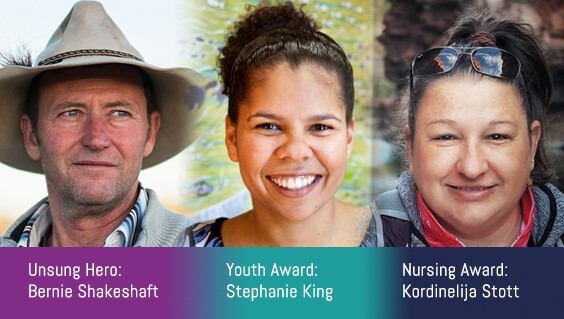 Youth Award: Stephanie King - Stephanie is a Waanyi woman from north-west Queensland who began her career with the Mount Isa Centre for Rural and Remote Health. Nursing Award: Kordinelija Stott – Kordinelija is a Nurse Practitioner from Koumala, Queensland.